Did you know that you can talk and videochat via the Tangle? 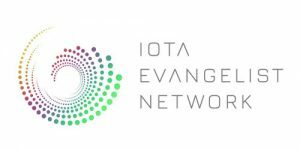 Yes – Peter Willemsen, the guy who has shown that it is possible to get you IOTA on the Ledger, has built a tool which uses the tangle to communicate! You can make video calls simply by clicking the link that got generated on the page. A decentralised video call program built on the Tangle that is super easy to use. You just visit the page – ion.ooo – click on “new conversation” and share the link that gets shown. Once your partner clicks on it the connection is done and you can start talking. But it’s still on early Alpha phase as Peter said and it got a few bugs that need to get fixed. For example you can’t use a link twice and you can’t get a connection with more than two participants. A newer version of the protocol will allow intelligent network sharing, where a virtual room can be created and users are free to join and leave a conversation at will. This is a webchat that is decentralized since it runs on the Tangle.